The Duke and Duchess visited New Zealand House in London this afternoon. They were there to offer condolences and pay their respects to those killed in the Christchurch terrorist attacks last Friday. Fifty people were killed and another fifty injured in the shootings at two different mosques in Christchurch. Below, the Duke shares a hongi, the traditional Māori greeting, with the New Zealand High Commissioner, Sir Jerry Mateparae. The Duchess read messages on flowers left by others before she and Harry left their bouquets. Harry rests his flowers with the others. The couple was asked to make the official visit by the Queen because they were the royal family members who most recently visited the country. 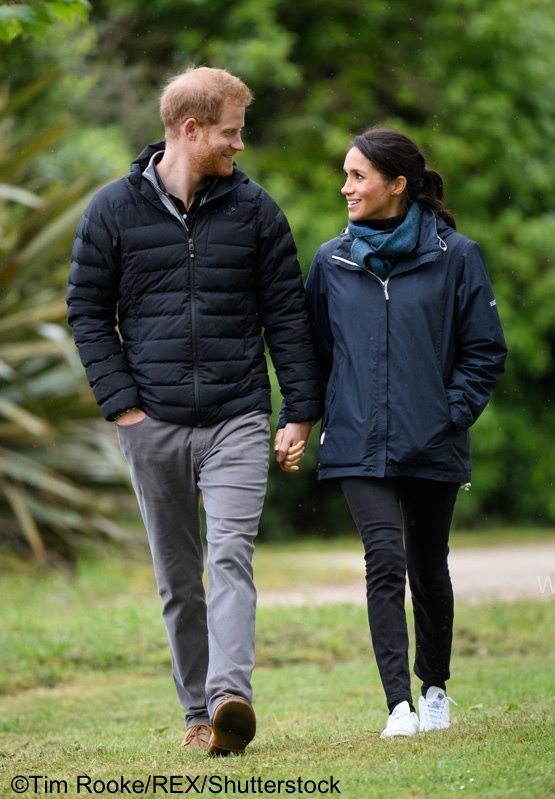 Below, Meghan and Harry in Wellington during their October tour. The pair looking at some of the many bouquets people have left. More on the flowers from Hannah Furness at The Telegraph. 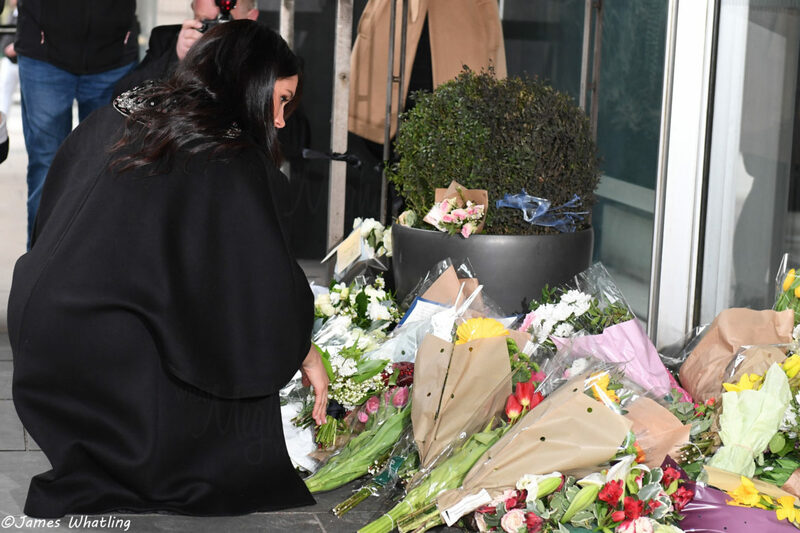 They both placed hand-tied bouquets of flowers outside the building in central London, adding to the pile of floral tributes which has grown since 50 people were killed after a lone gunman opened fire at two mosques during last week’s Friday prayers. The Duchess’s featured lily-of-the-valley, hawthorn and ivy, while the Duke’s contained white roses, lisianthus, veronica and ferns. In this video from Rebecca English you see the couple as they arrive and are greeted by Sir Jerry Mateparae. You can also see both kneel down and add their flowers to the pile amassed at New Zealand House. 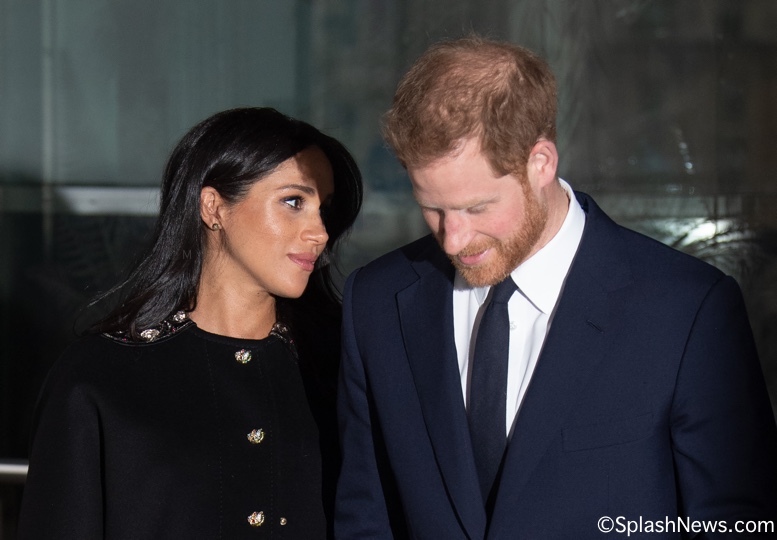 Meghan and Harry released a joint statement with the Duke & Duchess of Cambridge condemning the attacks shortly after they happened last Friday. The statement also spoke of the “warm, open-hearted and generous spirit” the people of New Zealand display. It is signed with the Māori phrase “Kia Kaha,” meaning “stay strong,” or “forever strong.”Below, the Duke and Duchess inside New Zealand House. Meghan and Harry also signed the official condolence book. Emily Andrews of The Sun shared a video. Harry signed his name and wrote “Arohanui” meaning ‘much love’ in Māori. A condolence book will be available for signing for a limited time at New Zealand House between 11am and 3pm – Tuesday 19 to Thursday 21 March. Alternatively, we continue to welcome all condolences posted on Facebook and Twitter – please tag us so we collate your messages. We also invite anyone who wishes to leave flowers or messages to do so at the New Zealand Memorial at Hyde Park Corner. New Zealand’s Ministry of Foreign Affairs put together a brief video in the wake of the attacks. The Duke and Duchess as they left New Zealand House. NOTE: After much discussion we decided today’s post would not include details on Meghan’s outfit. It didn’t feel appropriate to us. There is no right or wrong way to handle this, none at all. For us, it made the most sense to follow our instincts and stick with coverage of the visit itself. 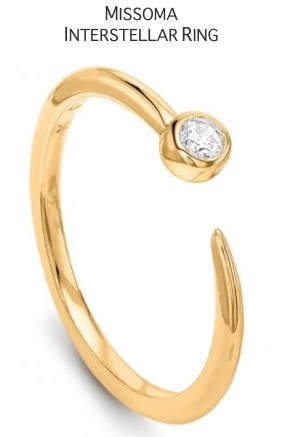 The one element we are comfortable mentioning is Meghan’s earrings: she wore the pair given to her by Prime Minister Jacinda Ardern during the tour. They feature the Miromiro feather; in Māori mythology the feather was a magic token of devotion that would bring loved ones back to you. To all our friends in New Zealand, there are not adequate words to describe our thoughts. We were saddened and sickened at the news and you remain in our thoughts today. We know everyone in the Meghan blog community shares these sentiments. 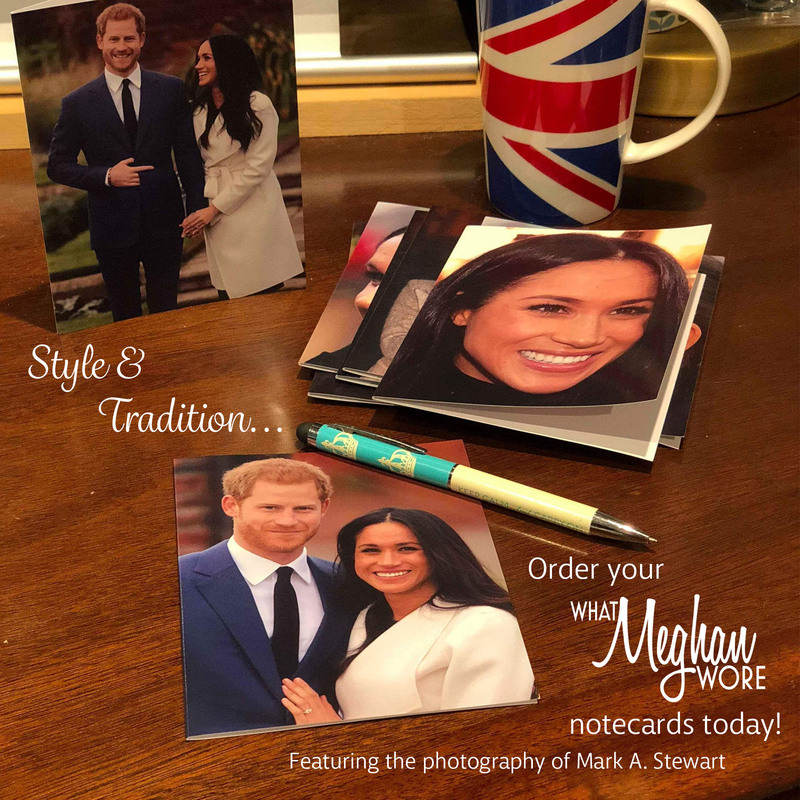 For info about what Meghan wore, here are three stellar sites: Mad About Meghan, Meghans Fashion, or Meghan’s Mirror. I am from Australia and was deeply affected by these events. I really appreciate the respect given in this post. I’m curious about the ensemble Meghan wore to Lena Tindall’s christening on March 18. Is there no post because it was a private event? Thanks so much for the post. I have a question about the signing of the memorial book. Am I to assume that the writing on the page is Meghan’s? And then Harry signed his name? If so, the Duchess has handwriting befitting a Duchess whose letters and notes will be preserved for time. How many of us sit down to pen notes any more, much less have such exquisite penmanship? 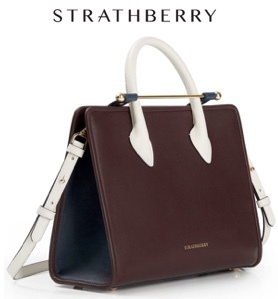 Of all the things to envy about her, that is near the top of my list. 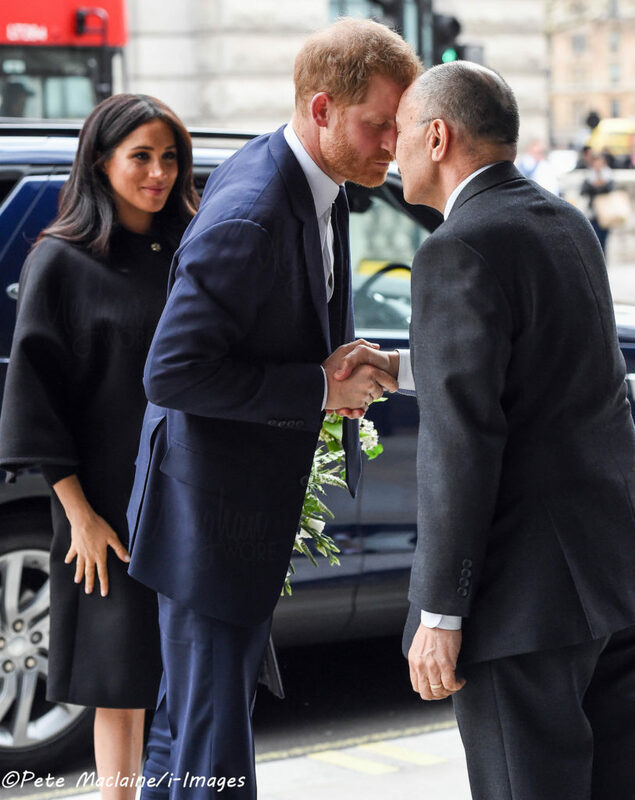 🙂 I think HM did the right thing in selecting Harry and Meghan to pay respects because they seem to have and make warm and personal connections with the people and leaders of the commonwealth countries. The DoS used to do calligraphy as a part time job to work her way through college. So the beautiful handwriting is part of that. A very reverend post, so well done thank you. I too am glad the Duke and Duchess paid a visit and offered there condolences. Sending deepest sympathies to the people of New Zealand from Australia. PM Jacinda Ardern is a class act, what grace and dignity she has displayed. Susan’s sensitive and gracious coverage of this sad occasion. PM Jacinda Ardern’s inspired leadership. The Muslim people who grieve. New Zealanders who are a nation of peaceful citizens. To a country that mourns, to families and friends of the victims, do know that your sisters and brothers across the globe share your sadness and wish you serenity and healing. WMW Thank you all for your kind thoughts and the sensitivity shown in this post. We are a national grieving the horrendous unthinkable attach and our loss of innocence. Thank you very much for the kindness and sensitivity of this posting. Love and hugs to the people of New Zealand and Christchurch. Thank you for your tact and sensitivity covering this visit. Prayers and love to the people of Christchurch. 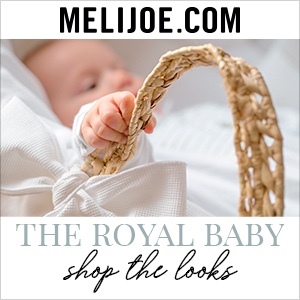 A beautiful gesture on the part of the Duke and Duchess and a lovely post, too. Thoughts are with you, dear WMW friends in New Zealand and especially those in Christchurch. Thank you for this post. And I just have to mention, doesnt Meghan have the prettiest handwriting? Gentle and appropriate coverage of something so horrific it defies words. 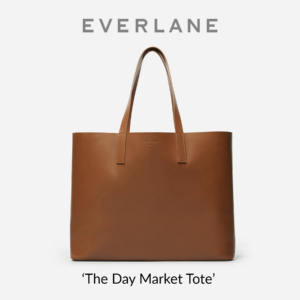 No fashion commentary needed. It was lovely to know about the earrings because of their provenance. Thank you so much, for what you do. If Miss Manners read blogs I believe she would have approved. Love the post. Another unnecessary tragedy among so many unnecessary tragedies. 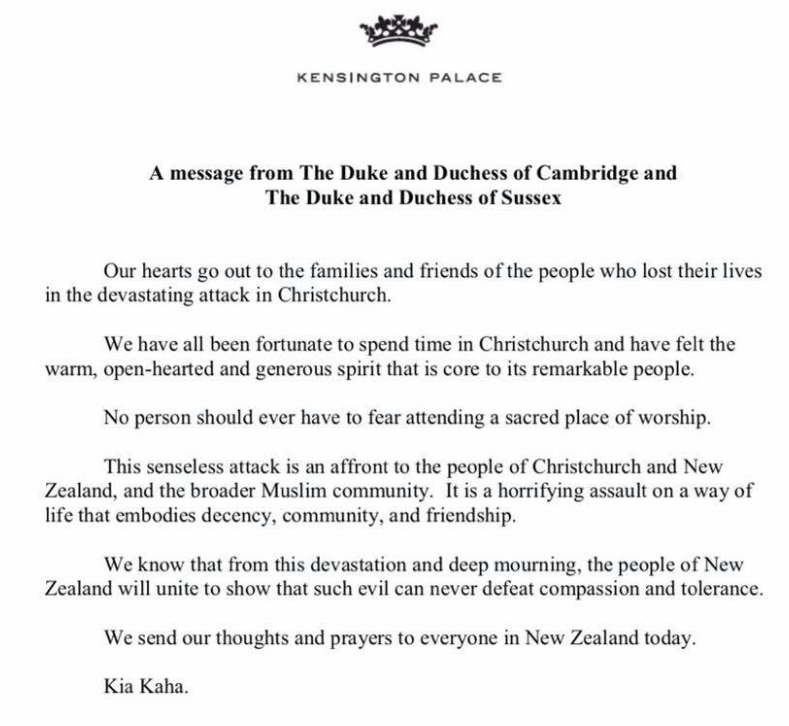 I can only echo what Meghan wrote, my deepest condolences to the people of NZ. We are with you. If I may make one short fashion comment, it’s that I really appreciate the effort Meghan put into her look today. It could have been easy for her to dress down, especially since she is not officially working right now and it was a short visit. But I think the fact she still dressed as if she was there to meet important people is a huge sign of respect to the people who lost their lives or loved ones in this tragedy. The earrings are a beautiful touch. Sending all my love to the people of New Zealand and lots of strength to your prime minister. What a powerful and compassionate leader she is. Thank you for a thoughtful post. To our friends in New Zealand – sending prayers and support to you from Boston Massachusetts. Thank you for this post, from someone who lives in Christchurch. To see the Duchess wearing earrings gifted to her by our Prime Minister is very moving. Jacinda Ardern is showing true leadership in these dark days. I’m from the US and so impressed by PM Jacinda Ardern. I wish we could have such a leader. I’m so sorry that extremism that I felt was mostly in our country and then in Norway (which seemed like such an exception for them!) touched your beautiful nation. I also agree with this decision. To have to mourn people killed in prayer is horrid. I think your decision on this post is very wise and respectful, thank-you. 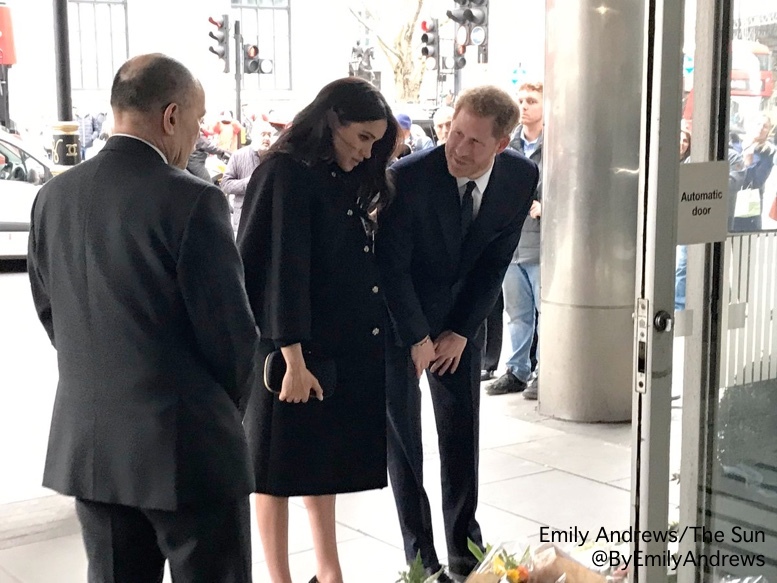 I am thankful the Queen requested that Meghan and Harry make a personal visit and pay their respects to the victims of the Christchurch terror attacks by visiting New Zealand House. There’s nothing like being there in person with those who mourn and I’m sure the New Zealand High Commissioner and staff were encouraged by the Royals visit and support during this very tragic time. My thoughts and prayers are with New Zealand. I would just like to thank you very much for your lovely post today, it was very thoughtful of you to do this. Heartbreaking indeed. People all over the world are devastated by this tragedy. I am glad Harry & Meghan were able to give their condolences, representing the Queen. To our friends in New Zealand, we send love. As a former Christchurch resident who’s utterly heartbroken right now, I really appreciate your kind words and the tact with which you chose to cover this engagement. I’ve always found a lot of solace in fashion and art, but I’m more than happy to just appreciate Meghan and Harry taking the time to pay their respects and don’t really have the energy or the desire to care about what Meghan is wearing. WKW and WMW have always epitomized class and dignity and I’m so grateful for that right now. Please delete this if you feel that it’s inappropriately fashion-y, but I do think it’s really sweet that Meghan is wearing the earrings that Jacinda Ardern gave her in October. Class – this blog is truly compassionate and the admin are to be commended – again. 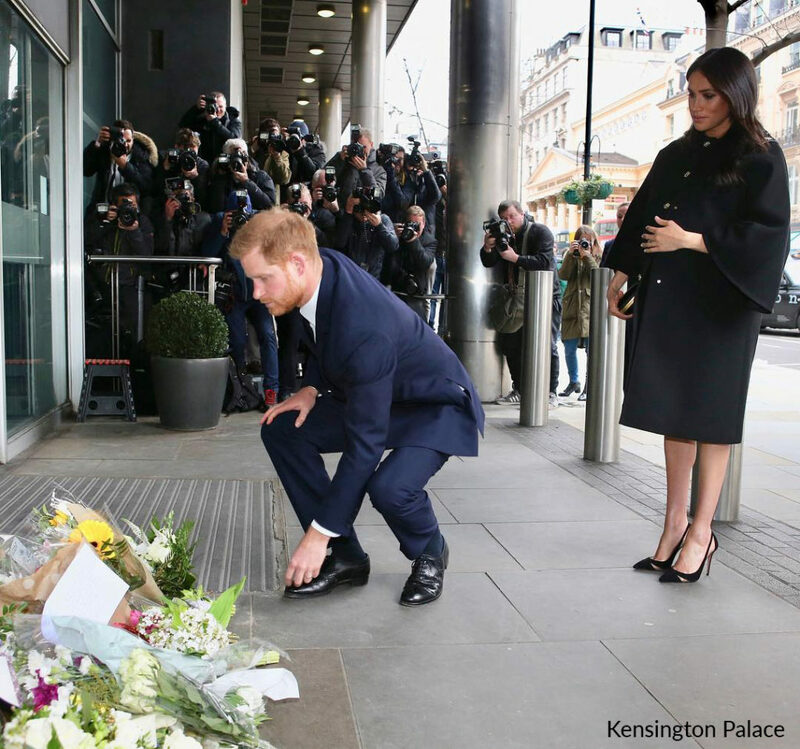 Thank you for this lovely post on Harry and Meghan’s visit to pay respect for the victims of the New Zealand terrorist attack. 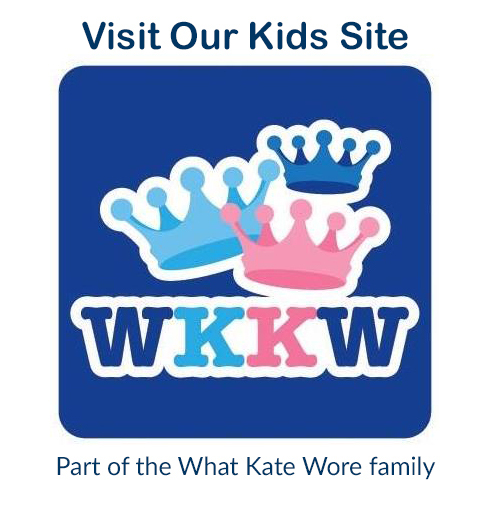 While I understand how fashion is definitely the least of concerns when the circumstances are so sad and horrific, the Royal Family usually use their clothes to offer homage or meaning and it would be very interesting and important to know any meaning that Meghan had put forth in her choices for today, such as selection of a New Zealand designer or any other meaningful symbols used to convey a visual message of solidarity or empathy. 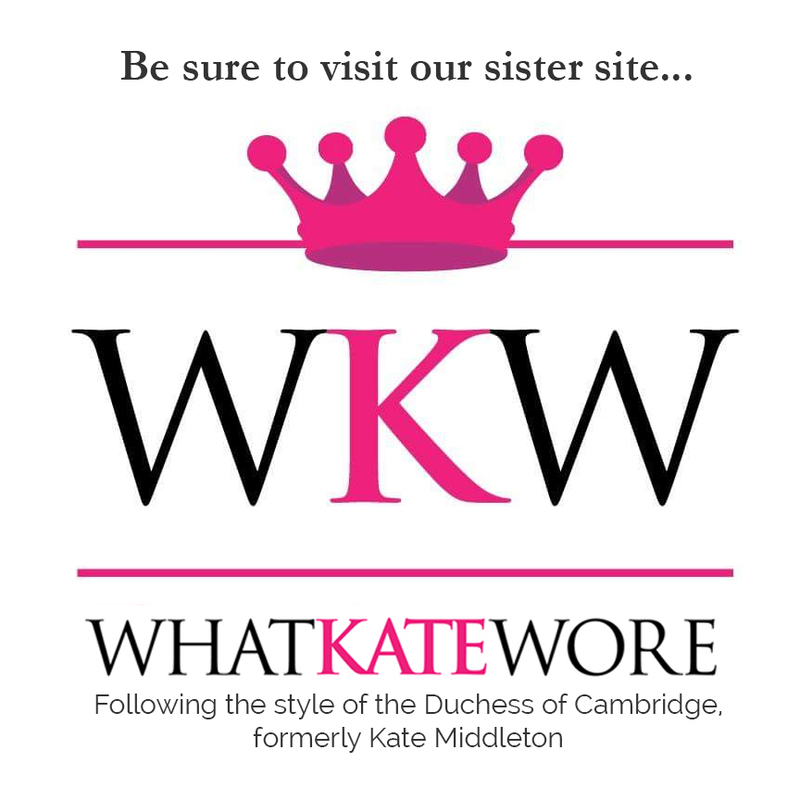 The What Kate Wore sister website, has frequently covered very serious or sad events, but still mentioned the clothing choices used at the very bottom of the post to mention in a minor way but still keep the focus on the importance of the event itself. Sara, I agree. 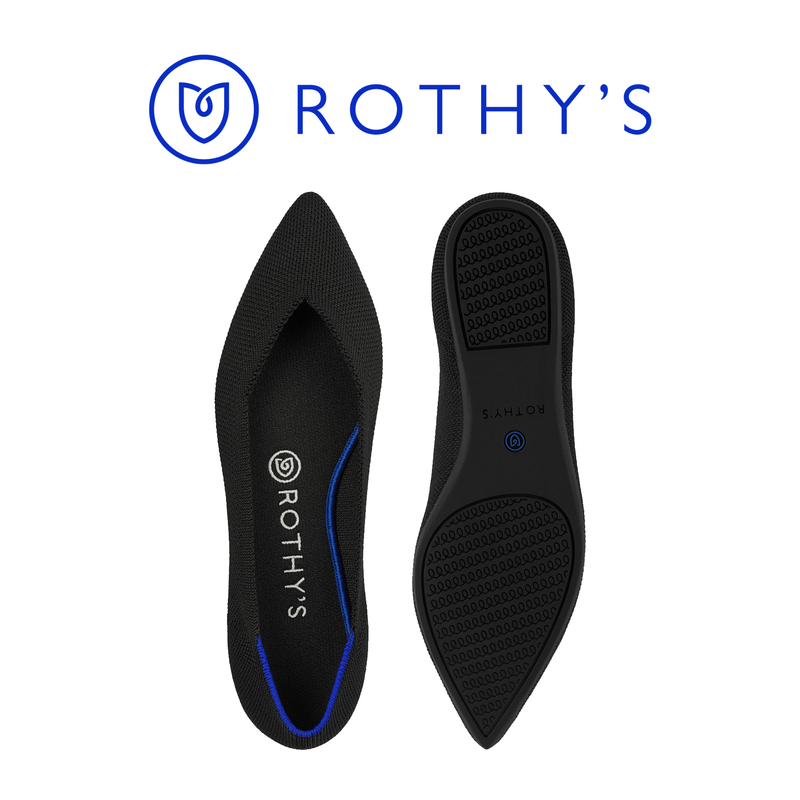 I am a bit confused by so many new and possibly bespoke pieces, I would expect repeated clothes and shoes. 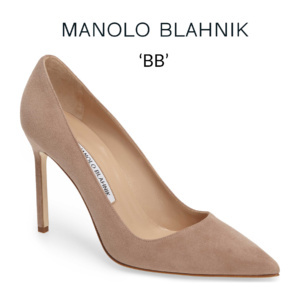 Ella, it is possible that these are pieces we haven’t seen on public engagements, not necessarily new and unworn. I also would have expected a repeat outfit to remove the attention away from her fashion choices, but then I thought she is pregnant and at a different size than most of her wardrobe so maybe she had purchased many items in preparation for maternity wear that are new to us, but waiting till the right size to wear. I was so glad to see that she wore the earrings from the NZ PM. That was lovely. With all due respect, Meghan has never really worn anything in public that’s black, relatively formal, and would fit her at this stage of her pregnancy. 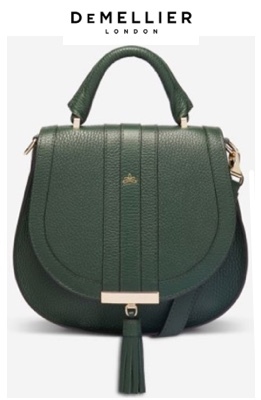 I would imagine that this was purchased/commissioned some time ago as a “just in case” piece that would fit Meghan through the end of her pregnancy, and that other royal ladies have done the same for their own pregnancies. This just (thankfully) happens to be the first time in nearly two decades that we’ve seen a high-profile eight months pregnant royal attend a memorial event. It is excruciating and an immense travesty. The prime minister’s response is a lesson for the world. She is the type of leader that each country needs. She is beautiful in her humanity, compassion, strength and action. We’re blessed to see this type of rare example.